Eager to Give Your Home a Makeover? 3 G Construction is your North Tonawanda, NY contractor who can do it all! Call for a free estimate! Hit the button to see our work! From kitchen remodels to home additions, 3 G Construction does it all! Serving as a North Tonawanda-based home contracting company, 3 G Construction Inc. of WNY approaches every job with attention to detail and determination to help our clients turn their house into a dream home. 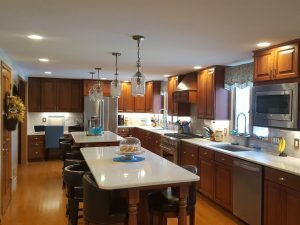 Our professional contractors work with homeowners across the North and Southtowns who are looking to update and transform their homes into a space that satisfies their needs and meets their style. If you are in the WNY suburbs and are ready to remodel, let us put our experience to work for you. 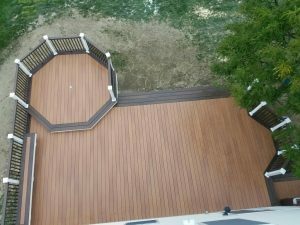 Allow 3 G Construction Inc. of WNY to save you time and money on your home improvement project, no matter the size or scope. Call 716-550-0659 today to speak with a remodeling contractor and receive your free estimate. Let us transform what you have into the home of your dreams. Remodeling your kitchen will help to increase the overall value of your home. We can help you achieve the desired look and functionality you want for your kitchen. Going to the bathroom shouldn't stink! 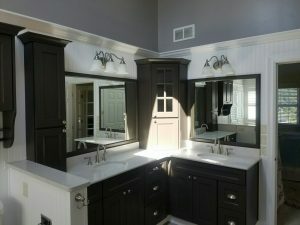 Let us upgrade the look & feel of your bathroom. If you're looking to hire a competent and reliable team, turn to 3 G Construction. We have the skills necessary to update your bathroom.